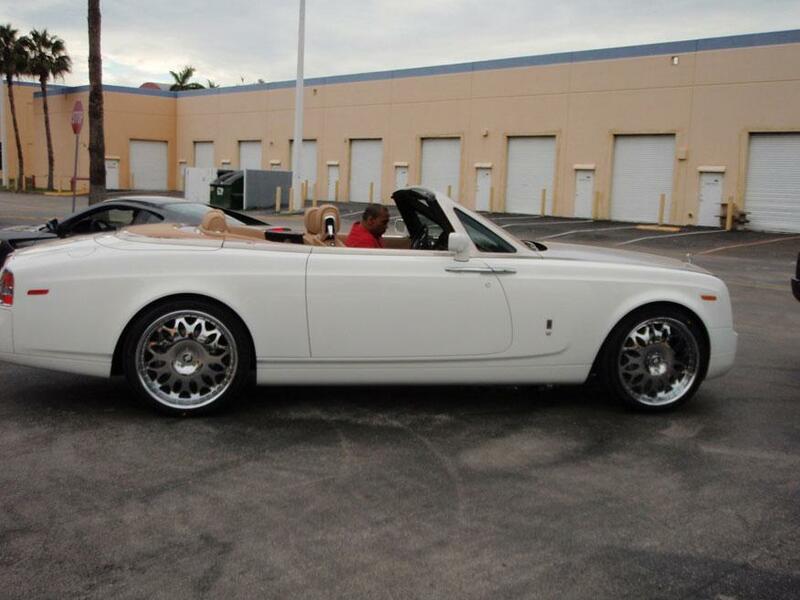 Here is Timbaland starting up his car : white Rolls Royce Phantom Drophead with 22″ Chrome Forgiato Grano wheels. This is a huge car and 24s should of been the way to go. The stock wheels are already 21″. I think this picture does all the talking here. Beautiful car, nice wheel design….nothing too original or special here, just a $500k car with $10k rims. How cool would this car look with a white color matched center with a chrome lip?